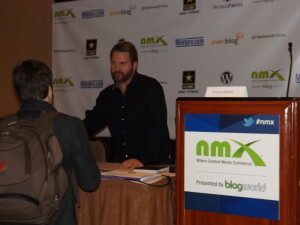 Optimize author Lee Odden signs copies of his book after speaking on Myth Busting in SEO, Social and Content Marketing at BlogWorld’s NMX Live. Welcome to the Optimize Pulse! Here we’ll share news and reviews on Optimize as it makes appearances around the web. Think of it as a virtual book tour, with stops at some of the greatest search, social and content marketing publications going. First up, Angela from UpCity named a blog post by Waxing Unlyrical’s Shonali Burke the Top Inbound Marketing article of 2012. 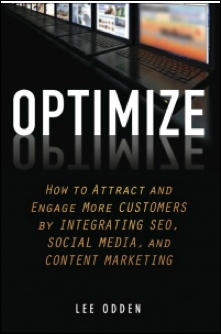 Burke recently interviewed Optimize author Lee Odden on the book itself and his optimization strategies in general. 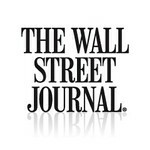 Thank you to both Shonali for the great writeup and Angela for the hat tip! Second stop: Online Marketing Institute featured tips and insight from Odden in the third post of their 45 Ways to Improve Your Digital Strategy in 2013 series. The Optimize author offered his advice on creating meaningful experiences for a targeted audience, rather than greater volumes of content. Marketers need to focus in on the people and topics that matter and forego the scattergun approach to compete this coming year. Next, Optimize dropped in on the Crossing Marketing and IT blog, for the second time this year. In this post, Elmer Boutin shares the Top 10 posts from their blog over 2012, including their Optimize Book Review. “This is another excellent book worth reading if you market your business online,” Boutin notes. 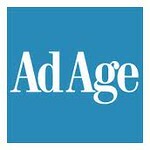 Odden made an appearance at Ragan.com to share 3 Myths on Content Marketing – Busted. Quality absolutely trumps quantity, high quality content is sustainable, and a single piece of content has multiple lives, contrary to popular belief. The Ragan.com post was part of a larger content marketing myth-busting series the Optimize author has shared, both online and in person as a speaker at BlogWorld NMX Las Vegas. Finally, Business2Community honored marketers who made Online Marketing Institute’s list of the Top 40 Digital Strategists in Marketing. 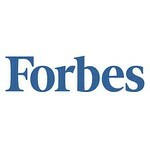 TopRank CEO and Optimize author Lee Odden made the cut and thanks organizers for taking the time to compile such an accomplished list of influencers.